Bees are disappearing at an alarming rate, says MSN. Admittedly, I don’t put too much stock in MSN, but I just so happened to talk to a bee-specialist at the Step It Up Campaign a few weeks ago. She told me that a full 25% of bees did not return this season. There have been drops in population like this one before, but not to this scale. If you are as suspicious as I was, you can check out this coverage over at National Geographic. 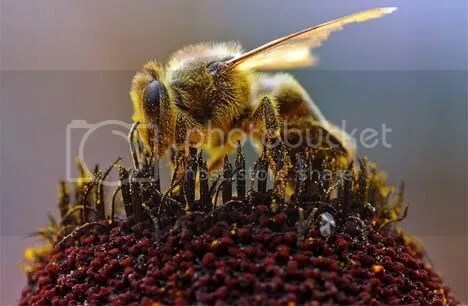 And if you are wondering what the big deal is, “I mean they are only bees,” just think about all of the foods that you enjoy which need to be pollenated by bees in order to grow. It’s estimated 15%-30% of our food depends on bee pollenation. Some scientists are suggesting it’s a pesticide problem, but others say it’s the work of a specific parasite called “Acarapis woodi.” Something tells me it’s more the former than the latter, or at the very least a decline in liveable habitat. Whatever it is,it’s yet another illustration of the ways humans have taken mother nature for granted. We better figure it out mighty quick.